This morning I went to the AT&T store to get a Lumia 830 on launch day. I left empty handed. Here is my letter to the Regional District Manager of AT&T Retail in my area in which I copied Ralph de la Vega and Satya Nadella. 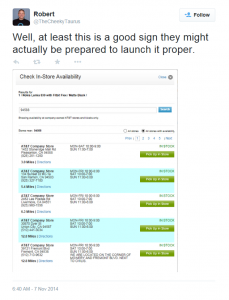 If you remember I am the individual that had an issue last year with the Lumia 1020 and AT&T being completely unprepared on launch day for that device. I see nothing has changed since then. 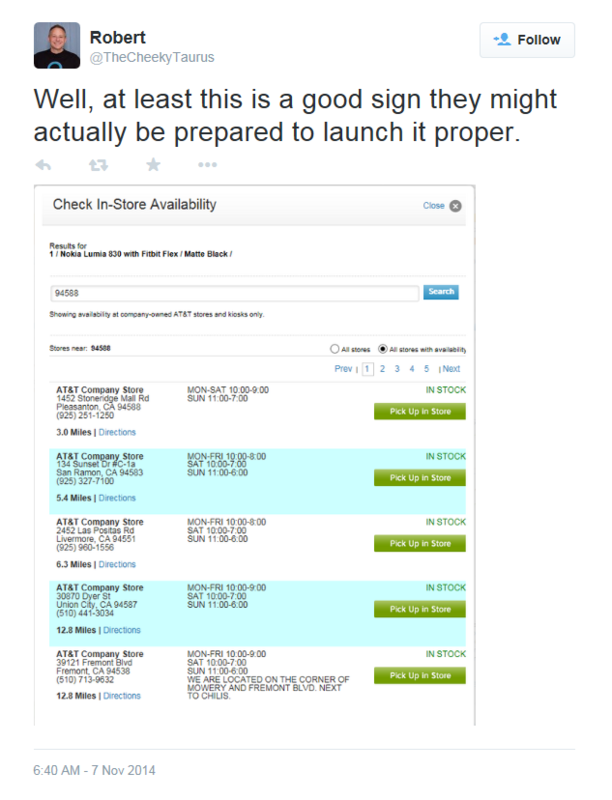 Today is Lumia 830 launch day and I paid a visit to the AT&T store in Stoneridge Mall in Pleasanton, only after checking the att.com website to confirm the device was in stock. Well, it isn’t. According to the staff there, despite your website showing stock throughout Northern California on your website, there is ZERO stock in Northern California at any retail location. ZERO. As you can see, I was optimistic. That optimism was obviously misplaced. Also, as usual, Windows Phone is getting the stink-eye treatment. 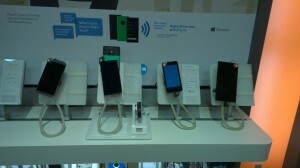 Here are the Windows Phones in this store. 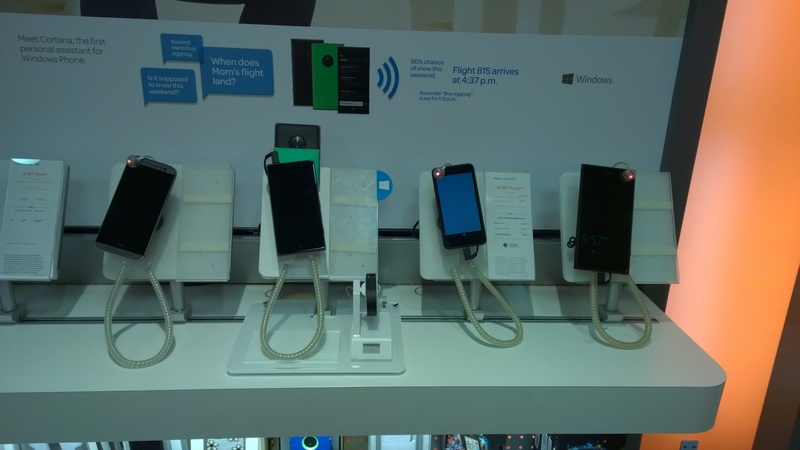 All 3 high-end phones (HTC One M8 for Windows, Lumia 1520 and Lumia 830) are all off and have no price/detail info cards. These were added only after I complained to [redacted], the associate that assisted me. I simply do not understand why AT&T is completely incapable of launching a Windows Phone device in the same manner you launch devices for Apple and Samsung. I can’t imagine being a customer of yours much longer. This is just beyond ridiculous and, clearly, AT&T just doesn’t care.